"My Friend Who Played with Pelé." worldfootballcommentaries.com: Unbiased journalism and unique content since November 2006. "In any language, the whole world is united by a ball." Tomorrow in Maracaibo at 1700 local time, the two tigers of South American soccer will meet for the 92nd competitive time in their collective histories. Between them, they have won seven World Cups, and 22 Copa Americas. Brasil leads the overall series with 35 wins, but Argentina is closely behind with 34. Argentina has won five straight games in this competition without a significant struggle. Brasil, on the other hand, lost their first game against Mexico, 0 x 2. They reached the final after a thrilling penalty kick shoot-out over Uruguay; however, their captain, Gilberto Silva, will not play due to two yellow cards. Robinho, with six goals, is the leading scorer of this Copa America, and has been their most impressive player. Of note, Ronaldinho and Kaka' did not participate in Venezuela. For me, Argentina has played virtually flawless football. Orchestrated by Juan Roman Riquelme, and despite losing Hernan Crespo, their lethal striker, in the second game, they have moved forward in the their unique style in the hot, tropical, and festive Venezuelan nights. But tomorrow's game will kick-off in mid-afternoon, with temperatures approaching 40 Celsius. Coach Alfio Basile is not pleased with this development, but as we know, both teams have to deal with the oppressive heat. A slower pace may favor Brasil, but Argentina has shown their excellence at ball possession throughout this tournament. Before the tournament, I picked them to win. Unless Brasil, who most likely will have the neutral support of the Venezuelan fans, finds a way to shut down Riquelme et al, Argentina will win their 15th title. They have too many weapons, and arguably, are the best national team in the world. Hernan Crespo has recovered from his injury, and will be available to Mister Basile from the bench. The 2004 Copa America final finished 2 x 2 after 90 minutes. Adriano scored deep into injury time, and then Brasil won the penalty kick shoot-out. World Football Commentaries by Steve Amoia. Copyright © 2006-2019. All rights reserved. 2. Daily World Football Video Highlights. 3. La Liga, Bundesliga, Ligue 1, Serie A, Premier League Fixtures, Live Scores and Results. 4. UEFA Champions League Table, Live Scores and Results. 5. Book Reviews and Translated Excerpts. 6. 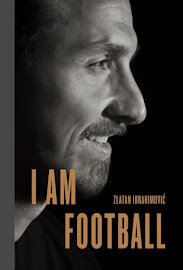 Featured Review: "I AM FOOTBALL" by Zlatan Ibrahimović with Mats Olsson. Just Say Yes to Moise Kean. Just Say No to Ultras. Calendario/Result. = Fixtures and Results. | Clasific. = Table. | Jornada = Match Day. Equipos = Teams (With links to their rosters.) | Noticias = News in Spanish. Directo = Match tracker of La Primera and La Segunda. Cronica (Document icon) = Match tracker with detailed graphical statistics for selected games. A = Click for preliminary line-ups. | F = Click for Full Time match commentaries. Anterior = Previous week. | Siguiente = Next week. | Todas = Pop-up calendar of all fixtures by the week. 4. UEFA Champions League: Table, Live Scores and Results. SC (Have not kicked off yet). Ida (first leg) and Vuelta (return leg). Octavos (Round of 16) and Cuartos (Quarterfinals). My portfolio also contains titles that are rarely discussed in English-speaking media such as the autobiographies of Roberto Baggio, Stefano Borgonovo, Antonio Conte, Alessandro Del Piero, Giuseppe Rossi, Arrigo Sacchi, Diego Simeone and Giovanni Trapattoni, respectively. You will also find a review about Carlo Ancelotti's excellent book on tactics. There are excerpts from a factual novel about the Juventus and Azzurri legend, Gaetano Scirea, by Gianluca Iovine. Lastly, a detailed look at Francesco Totti's humorous yet historical guidebook on ancient Rome. From Malmö to Milan, from Ajax to the Galaxy, with many other stops along the way, the Zlatan Express has roared across world football leaving behind an indelible imprint of audacious talent, brutal honesty, legendary goals, sensational media quotes, tremendous self-belief, 33 trophies, and most of all, hundreds of spell-bound and bewildered opponents in its quake. Ibrahimović, to quote Massimo Moratti of Internazionale many years ago, "is the ultimate professional." He embodies street smarts, hard work, high intelligence along with his prodigious multi-lingual communication skills. If a trophy were ever awarded for professionalism to one's craft, it would have Zlatan's name on it. The ultimate professional and a winner with a capital W.